Even for a Fine Gael journalist Alison O’Connor’s portrayal of Brian Hayes is way over the top. Hayes, who’s abandoning politics for a more lucrative career in the financial services industry, is portrayed as a virtual Irish Nelson Mandela. O’Conner writes of the terrible conditions Irish politicians such as Hayes have to endure in order to serve the people. Having to stand for election, having to put your face on a poster, having to survive on €100,000 plus generous expenses – my goodness, such horrors. But like all establishment journalists O’Conner reveals her bias in the detail. She tells us that Hayes’ greatest talent lay in making the government look good. I couldn’t understand at the time how the party, and then taoiseach Enda Kenny, felt he would be better off in the European Parliament than at home doing a fine job of making the government look good, despite the slashing and burning that was ongoing. Note – not fighting for the health and wealth of the people, not badgering his party leader to do what was right for the victims of political and financial corruption, not insisting that corrupt bankers be brought to justice. No, Hayes’ greatest talent, according to O’Connor, was his amazing ability to ‘make the government look good’ as it destroyed the lives, ambitions and wealth of millions of Irish citizens. In other words, Hayes was a brilliant political liar and propagandist. And then there’s the accidental admission that Hayes is leaving politics so that he can accumulate even more money. A politician of Brian Hayes’ experience and profile might stand to earn considerably more in the private sector. So it’s not about selfishly serving people and country, it’s about who pays the most. And with Hayes’ many connections in politics, government and banking, his new career in the Irish Banking and Payments Federation is sure to make him a very wealthy man. 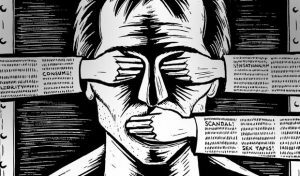 But there’s always a nagging problem for establishment journalists like O’Conner – how to explain the awkward logical gap between the catastrophic financial, psychological and social damage inflicted on the Irish people over recent decades and the claim that the political system responsible for the suffering is populated by people of high principles and integrity such as Hayes. 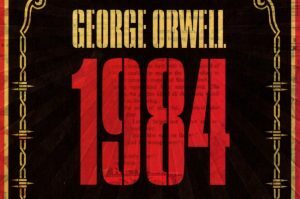 The answer – ignore the brutal reality and resort to professional deceit. And the current choice of deceit is – blame social media. It is proving exceptionally difficult to get them [candidates] to stand because they see the abuse politicians get on social media and feel that a political career just isn’t worth that. 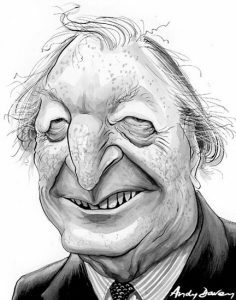 I’ll finish with this thought: Irish citizens will never see the extermination of the disease of political corruption for so long as establishment journalists like O’Connor are willing to loyally defend the rotten system. 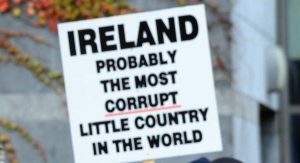 For ordinary Irish citizens, corruption is a dark, malignant everyday reality that causes endless loss and suffering. 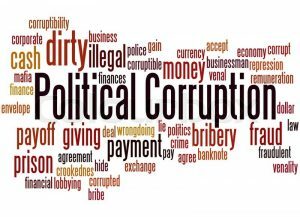 The political system, the financial sector, planning, property, you name it, corruption is rampant and routine among the top tiers of Irish society. The disease does immeasurable damage to the wealth, health and aspirations of ordinary people. But in the warm, comfortable bubble where the establishment media happily coexist with the powerful and the corrupt, there is no such thing as corruption. Instead, there is a mysterious entity universally referred to as ‘culture’. So, for example, there’s no corruption in our police force, our banks or our political system, just this inexplicable abstraction called ‘culture’. And, apparently, all that’s needed to bring a halt to the massive damage caused by this mysterious ‘culture’ is the application of another magic word – ‘reform’. So, basically, that’s all establishment journalists write or talk about, culture and reform and it’s off to the Dail bar for drinks – happy days. But despite the availability of these magic, truth avoiding words, it can still be difficult for establishment journalists to write about corruption without actually using the dreaded ‘C’ word. Take for example a recent article by Irish Times journalist Kathy Sheridan in which she reflects on the catastrophic economic crash of 2008 which occurred as a direct result of corruption in the political and financial sectors. The corruption word does not, of course, make an appearance but, to her credit, the truth-avoiding ‘culture’ word only appears in the very last paragraph. 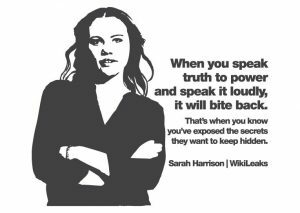 Instead, Ms. Sheridan falls back on another strategy commonly employed by those who are afraid of speaking truth to power. While ostensibly analysing the Irish economic catastrophe she focuses the bulk of her analysis on events in another country thus sparing the blushes of those who wield power in Ireland. At the beginning of her article she accepts that the people are angry and have lost trust in the system. The bulk of the article is then filled with a long, meandering story about some American financial wizard before ending with a sermonising quote that’s probably meant, somehow, to bring comfort to the countless victims of the rampant corruption here in Ireland. It’s about trust, yes. It’s about culture, [oh, there’s that word] behaviour and accountability. But like almost everything that makes life bearable, it’s also about common decency. Ah yes, common decency. Now if only establishment journalists like Ms Sheridan could bring themselves to speak truth to power, to actually use the ‘corruption’ word, to name those who peddle the disease of corruption to enrich themselves while destroying the lives of so many. Then, I’m sure, life would be much more bearable for all of us. The revolution has begun. Varadkar and his cabal of gombeens are for the high jump. Their time is up as the youth of Ireland take to the streets and march on Dail Eireann to overthrow the old failed system and replace it with a bright new dawn for Irish democracy. Sadly, there is no truth whatsoever to this fantasy view of what’s happening in Ireland today. The claim of a mass movement of young citizens on the move is nothing more than the meanderings of Irish Times columnist Una Mullally’s overly fertile imagination. Does the Government know it has a politicised generation on its hands? 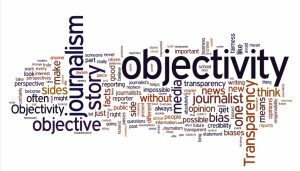 A generational shift has occurred that both the political and media establishments have not yet truly grasped. We are in newly charted territory, and young people are the cartographers. Altruism, solidarity, and a sense of fairness seems to permeate this generation. Their values are different from past generations, they do not put self-interest first says Mullally. Very little development in Dublin is for young people. New restaurants and bars are expensive and are aimed at 30 – and 40 -somethings. Young people are watching their nightclubs being demolished for hotel developments. Student housing built by international companies charging exorbitant rents is totally out of their reach. Many young people have to live with their parents because they can’t afford the out-of-control rents in the city. These examples do not sound like a national youth movement intent on overthrowing the old, failed political system but more like a demand for more nightclubs and cheaper drink. Mullally does, of course, mention other more serious issues. The marriage equality campaign, legal abortion and the current housing campaign. She wrongly credits young people as the principal motivators in these movements. The marriage equality and the Repeal campaigns were open door issues. Practically every political party and most of society were in favour of these reforms. It did not take any great courage or sacrifice to come out on the streets and demand reform for issues that were practically guaranteed to succeed and, more importantly, posed no threat to the interests of those who wield power in our country. And while there is a noticeable increase in youth involvement around the housing scandal this is primarily down to the fact that the crisis is beginning to affect the interests of young people particularly students. This was evident during the recent Take Back the Streets demonstration in Dublin. There was a large, very well organised student participation but the majority of placards were demanding housing and other benefits for students, there was nothing about challenging the corrupt political system that is responsible for the crisis. Sadly, there is no history of organised political radicalism among the youth of Ireland. This lack of a revolutionary spirit among the young was clearly evident in the water charges campaign. This was a campaign that required real commitment, courage and stamina because it threatened the vital interests of the corrupt elite that have ruled and ruined our country for decades. If the student unions or any other youth movement were on the streets for the anti-water charges campaign I didn’t see them. In fact, in my experience and observations the bulk of water warriors were made up of middle aged and elderly citizens many of them accompanied by children. Yes, of course, young people were involved but they did not, as Mullally claims, constitute the bulk of campaigners. In common with all establishment journalists Ms. Mullally operates in a media bubble that has little understanding of the reality out on the streets. If she ever manages to burst out of that bubble she will immediately realise that there is no revolutionary youth movement in Ireland and that political corruption is the sole reason for the housing catastrophe. The people of Ireland should know that Fine Gael, Fianna Fail and the Labour Party have removed the status of citizenship from them and replaced it with the inferior status of ‘customer’. The process was initiated in 1997 and has been refined and expanded upon ever since. Ministers and civil servants no longer address citizens as citizens but as customers. For example, during a recent interview on RTEs Today with Sean O’Rourke [July 2 – 2nd report] the Minister for Employment Affairs and Social Protection Regina Doherty referred to old age pensioners as ‘customers’. Thinking that this may have been a ministerial slip of the tongue I had a look at Ms. Doherty’s department website and found that the status of citizenship had indeed been removed and substituted with the lesser title of ‘customer’ [See below for example]. The Department of the Taoiseach is committed to providing a professional, efficient and courteous service to all our customers…We will treat all our customers equally and make every effort to ensure that the services we provide reflect your needs and expectations. This is a deeply disturbing development as it strikes at the very core of the democratic relationship between citizen and state. It strongly implies that ministers and state officials have taken ownership of the power, wealth and resources of the state. 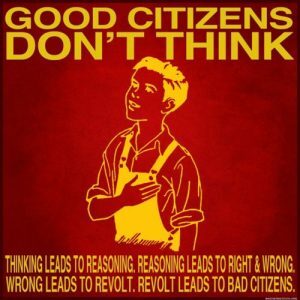 That they, and not the citizenry are – The State. It implies that [now former] citizens are mere ‘customers’ that must comply with laid down conditions if they wish to ‘do business’ with the new owners of the state. Deliver quality services with courtesy, sensitivity and the minimum delay, fostering a climate of mutual respect between provider and customer. The development further implies that ministers and civil servants no longer see themselves as (civil/public) servants, elected and employed to serve people and country but rather as wielders of state power over and superior to the power of the people. I spoke about the issue with a senior official in the Dept. of the Taoiseach who was genuinely surprised that I thought the matter was of any importance. Democracy literally means ‘rule by the people’. Not by politicians or civil servants but by the citizenry. In representative democracies certain elected citizens are temporarily appointed to govern on behalf of the people. 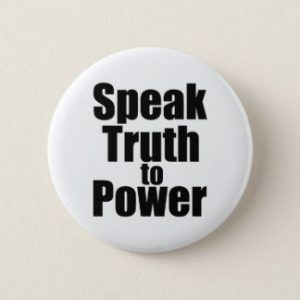 They are granted state power by the people to govern on behalf of the people but the possession of that power does not raise their status above that of any other citizen. It does not create a relationship whereby the politician is master and the citizen is a customer. 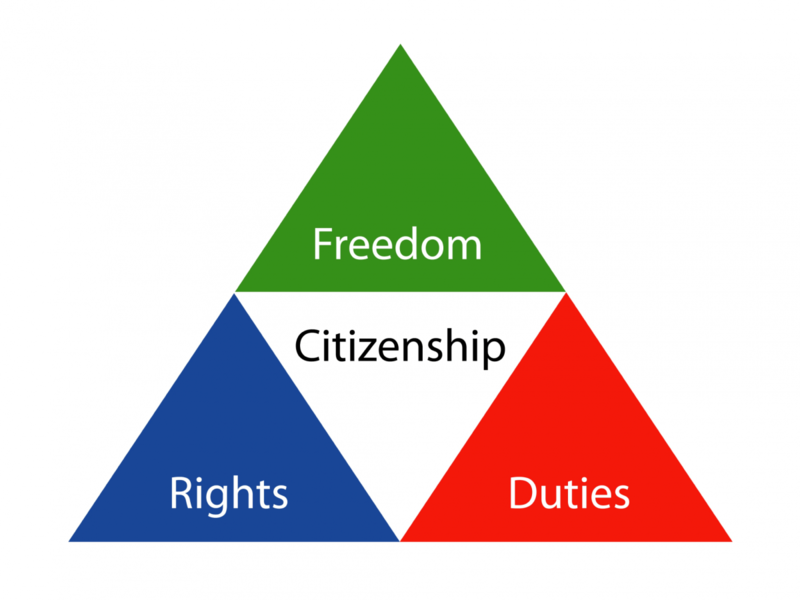 Similarly, many citizens are employed to serve the State on behalf of the people across a wide range of government departments but no individual civil servant possesses a status or a power above that of any other citizen, they remain servants to the democracy of the people. This policy of downgrading the sacrosanct status of citizenship by replacing it with the inferior and cheap status of ‘customer’ is obnoxious to the very meaning of democracy. A person who buys goods or services from a shop or business. In the world of trade this is a perfectly legitimate definition. An individual becomes a customer when they decide to purchase goods or services from the owner of a business. In a functional democracy citizens do not purchase goods or services from politicians or state officials operating under the illusion that they own these goods and services. Citizens avail of goods and services that they (the citizens) have provided for the greater good of all the people. It is the function of politicians and officials to serve the people by organising and dispensing these goods and services according to need. They do so as fellow and equal citizens, not as overseers doing business with customers. The status of a person recognised under the custom or law as being a legal member of a sovereign state or belonging to a nation. It’s unlikely that this removal of the status of citizenship is a deliberate conspiracy to weaken democracy but that is exactly what it will do. Once a concept is accepted by an authority it quickly becomes the norm. That’s why the official I spoke to at the Dept. of the Taoiseach was so puzzled by my concerns. She has already accepted those who deal with her department are not citizens but customers and therefore should be dealt with as such. Similarly with Minister Doherty. She obviously feels totally at ease in referring to citizens as customers. But by so doing she is over-turning the centuries long democratic principle that politicians and state officials are servants to the people and not, as the term ‘customer’ suggests, masters over the citizenry. But even more crucially the Minister has lost sight of the most important democratic principle of all – that citizens ARE the state and therefore can never be customers to it. of Intreo Centres and Branch Offices and from centralised offices countrywide. On 17th November, I launched the Government’s Public Service Reform Plan. This Plan sets out our strategy to radically reform how we deliver public services in the years ahead. One of the key themes of the Plan is placing Customer Service at the core of everything we do. An important commitment in this regard is to continue to drive the Customer Charter initiative in the Public Service, particularly with regard to consultation with customers, identification of service targets and channels, and reporting annually on progress. The Customer Charter Initiative gives customers a clear and unambiguous statement of the level of service they can expect. It also provides a framework that allows us, as public servants, to measure and improve the quality of services provided and to report on this publicly. Our interactions with customers, whether this is with the general public or businesses, set the basis for how we are perceived. We all know that Ireland is currently in a challenging position economically, but we must also bear in mind that we have an increasingly complex and diverse customer base with growing customer expectations. The Customer Charter process allows organisations to engage with their customers to design their services better and to become more flexible and responsive to the needs of services users. While the Charter process has been successful, we must continue to aim higher and to further strengthen and deepen the customer service improvement process. The Customer Charters and Action Plans being prepared for 2012-2014 should build on past successes and learn from previous challenges. These practical guidelines for Public Service organisations for the preparation of Customer Charters were first published in 2003, and revised in 2008. I am now pleased to introduce the third iteration of these Guidelines, which have been revised and updated in light of the Programme for Government, the Public Service Reform Plan and the evolving nature of service delivery generally. These Guidelines also cover Customer Action Plans, which should be used as the vehicle for achieving the objectives set out in Charters. Finally, I would like to take this opportunity to thank the Quality Customer Service Officers’ Network, who have been central to the Charter process over the past decade, for their work in the preparation of these Guidelines and for their continuing commitment to the implementation of Quality Customer Service in the Irish Public Service. 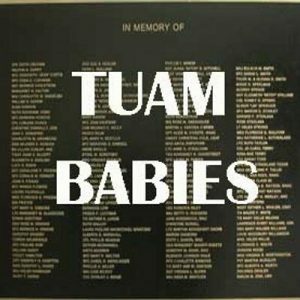 Tuam babies: Minister Zappone to opt for cover-up? Children’s Minister Katherine Zappone will shortly make a recommendation to Government on what is to be done about the remains of the hundreds of children dumped in a septic tank in Tuam by the Catholic Church. The first option will mean the State accepting responsibility for its part in the horror and by so doing force the Catholic Church to admit its crimes against humanity. In a sentence, this option will deliver justice and closure to the victims and survivors of the horror. The second option is to leave the remains where they were discarded, place a memorial over the site and walk away. In a sentence, this option will inflict another injustice on the victims and protect the guilty politicians and clergy from being made accountable. We don’t have to wait for Minister Zappone’s decision, we already know she will opt for the second option – why? Because Minister Zappone operates within a corrupt political/administrative system that will instruct her to opt for cover-up rather than justice. She may, of course, possess the courage to challenge state power and be willing to suffer the personal and career consequences that would inevitably follow. Unfortunately for the people of Ireland, courage among politicians is as rare as justice for the State’s many victims. The ongoing corruption scandal involving the Israeli Prime Minister Benjamin Netanyahu provides a stark comparison with just how corrupt Ireland’s political/state system is. Receiving expensive gifts from wealthy businessmen in exchange for favours. Striking an illicit deal with a newspaper in exchange for favourable political coverage. His wife, Sara, is also under investigation accused of using government money to pay for private chefs at family events and electrical work in the family home. In Ireland, this kind of corruption is casually accepted as part and parcel of normal political activity. For example, it has just been revealed that the Government’s Strategic Communications Unit (SCU) paid out €1.5 million of taxpayers’ money to favoured newspapers to publish propaganda articles in favour of Fine Gael. Or, to put it another way: The Government struck an illicit deal with newspapers in exchange for favourable political coverage. The response to this corrupt act in Ireland was to appoint a senior government official to review the actions of senior government officials. The response in Israel saw the police directly investigating the chief suspect, the Prime Minister. As a result of that investigation they have recommended that he be charged in a court of law. This is the norm in functional democracies. Here are some more stark comparisons between how things are done in a functional democracy such as Israel and a corrupt state such as Ireland. 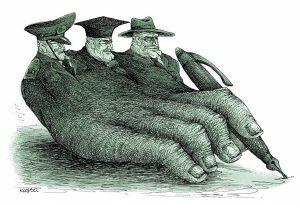 In Israel the police are independent of the political system and are therefore free to investigate political corruption. In Ireland the police are, effectively, a branch of the political system and therefore do not investigate political corruption. In Israel there is a specialised anti-corruption police unit. In Ireland there is no such unit. In Israel, all crime, including political corruption, is dealt with through police investigation and the courts. In Ireland, there are two separate systems for dealing with crime. 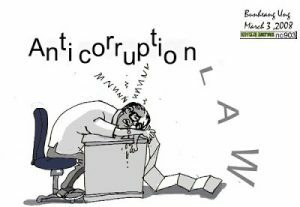 One for ordinary citizens that involves police, courts and punishment and another made up of tribunals, commissions and committees deliberately, and very successfully, designed to ensure there is no accountability or punishment for those with power and influence. In Israel regulatory agencies such as the Central Bank or corporate enforcement operate independently of the political system. 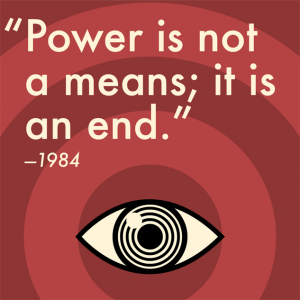 In Ireland all regulatory agencies are subject to political control and influence. In Israel the media use the word ‘corruption’ when writing and speaking about corruption. 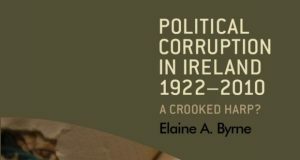 In Ireland the word ‘corruption’ is never used by establishment media. Instead, the fuzzy word ‘culture’ is used. So, for example, there’s no such thing as police corruption in Ireland but rather a ‘culture’ that provides journalists and politicians with a safe area in which to endlessly discuss reform of the ‘culture’ while completely ignoring the brutal reality right in front of their eyes. In Israel, Prime Ministers and former Prime Ministers can face prison when found guilty of corruption. In Ireland the notion that a Prime Minister or former Prime Minister would be the subject of a police investigation never mind actually do jail time is so ludicrous as to border on the insane. Elaine Byrne is, once again, writing about scandal and regulatory failure in today’s Sunday Business Post (Sub reqd). This time it’s about the failure of the Standards in Public Office Commission (SIPO) to do its job regulating the political system. I hope to respond to her article in the next day or so. In the meantime, I’m republishing this article (with some minor editing) I wrote in April 2015 outlining how all regulatory bodies in Ireland are, in reality, fake. It’s not often a minister for justice makes me laugh but the latest comment on police reform from Frances Fitzgerald had me in stitches. Ok, let me first state an absolute fact. This government will not set up a police authority. 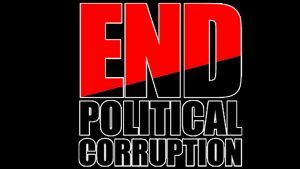 The next government; if it is spawned from the same corrupt political/administrative culture, will not set up a police authority. The reason is simple; the establishment of a genuinely independent police authority would end the corrupt nexus between the body politic and the police force. 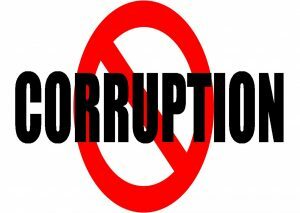 That corrupt nexus has served the interests of politicians, their friends in the Golden Circle and senior police officers since the foundation of the state; it will remain firmly in place for so long as that culture exists. What we will see is the establishment of a fake police authority, an authority that from the outside looks and acts as if it’s the real thing but, in reality, is a fraud. The setting up of fake regulatory agencies is the single greatest achievement of our corrupt political system. These fake authorities are so successful that they have not only fooled ordinary citizens, they have fooled the media, the international community and even many of the politicians who established them in the first place. The system can best be understood by comparing it to those fake Hollywood wild west towns built to make cowboy movies. Walking down the main street everything looks real so long as nobody actually believes there’s anything of substance behind the facades. So, for example, when a citizen opens the door marked ‘Financial Regulator’ they find themselves in a wilderness populated by drifting tumbleweeds, each one with a tag reading – secrecy laws forbids the answering of any questions. When the door marked ‘Standards in Public Office’ is opened citizens are met by an official endlessly chanting – Political accountability? No, never heard of it. We just dig holes in the sand and fill them in again. When the Troika arrived they already knew there was something odd about the way things were done in this town so they opened more doors than usual. Inside the austere and impressive door to the legal system, for example, they found mountains of stolen loot surrounded by hundreds of partying solicitors and barristers. Clear out this den of iniquity they instructed the government, we’ll be back to check on it. When they returned a year later they failed to notice that what appeared to be a reformed legal system was actually an act performed by actors hired for the day from a nearby spaghetti western movie set. The drunken solicitors and barristers were still partying just over the hill. Down at the end of the town there’s a brand new, freshly painted building with the title, Charity Regulator. Inside there’s a large office with an impressive array of filing cabinets, computers, desks and stern looking officials. On closer inspection however, the files are just blank paper, the desks and computers are made of balsa wood and the officials are shop mannequins. So what, at first glance, looks like a real regulator turns out to be nothing more than the usual cynical exercise in deception. Because this is a new regulator, no citizen has yet been damaged by its fraudulent front but, in time, thousands will inevitably suffer heavy financial loss and perhaps worse. Irish citizens have lost faith in the State and its administrators. 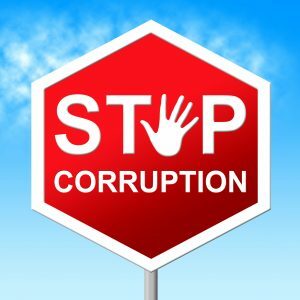 They know that almost all state agencies are steadfastly loyal to the corrupt political system that created them and exercises control over their activities. The long-suffering people of Ireland are waiting for somebody to lead them in knocking down all the buildings in Irish cowboy town.